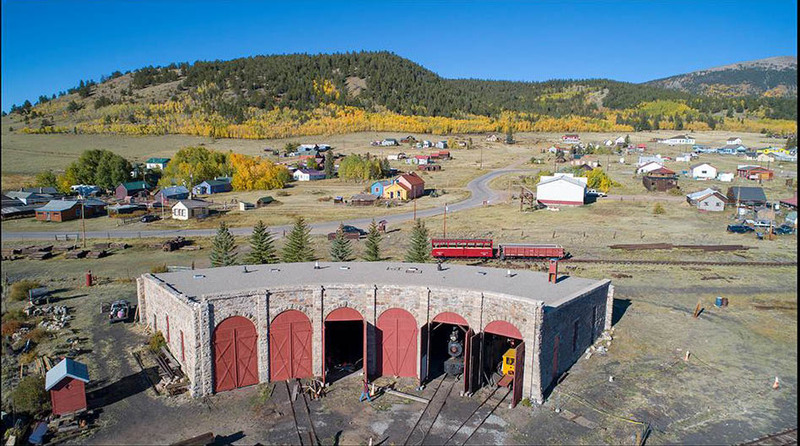 If you’re planning a Colorado narrow gauge trip, there’s a new must-see to add to your itinerary. It’s the old Denver, South Park & Pacific division point in Como. 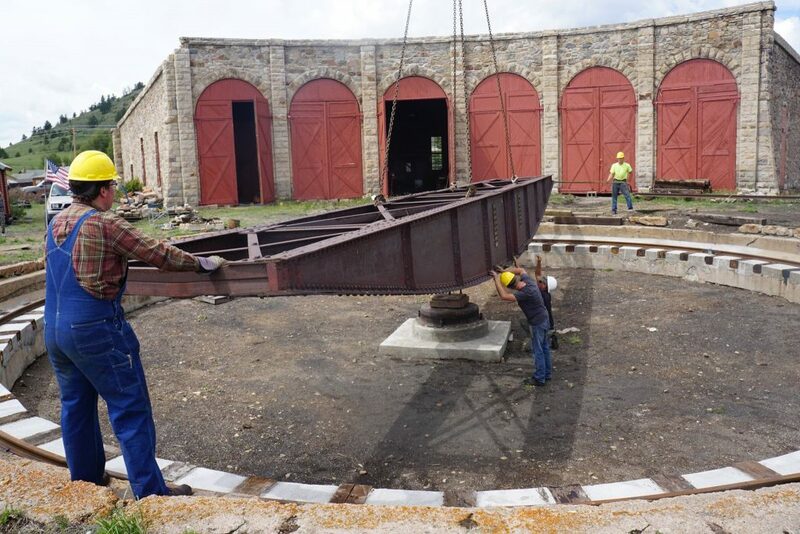 The South Park Rail Society has made major strides in its restoration over the last two years, including operations with steam. Como sits at 9800 foot elevation on the west edge of the windswept South Park. 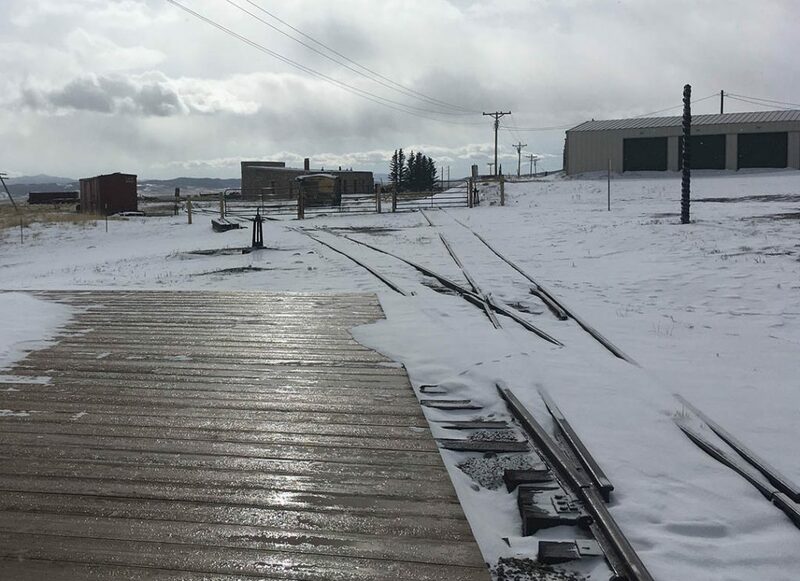 It was the junction of the line to Gunnison over Alpine Pass and the line to Leadville, which managed to cross the continental divide twice. Depending on which reference you believe, the population today is either 104 or 439. Whichever, it’s small and the whole setting has a timeless feel. I had last seen Como on September 10, 2001, memorable for being the day before 9/11. Work had begun on the roundhouse, but the depot was in very bad shape and all the tracks were long gone. I stopped briefly last November on my way to the HRA fall conference in Santa Fe. It was a cold snowy day . The roundhouse wasn’t open and it has been fenced off (that’s a good thing) so I couldn’t get close. The depot appeared to have been completely restored. Track has been laid and several pieces of narrow gauge rolling stock were present. The depot dates from 1879. DSP&P’s successor Colorado & Southern abandoned the railroad in 1939. The depot is now owned by Como resident David Tomkins. 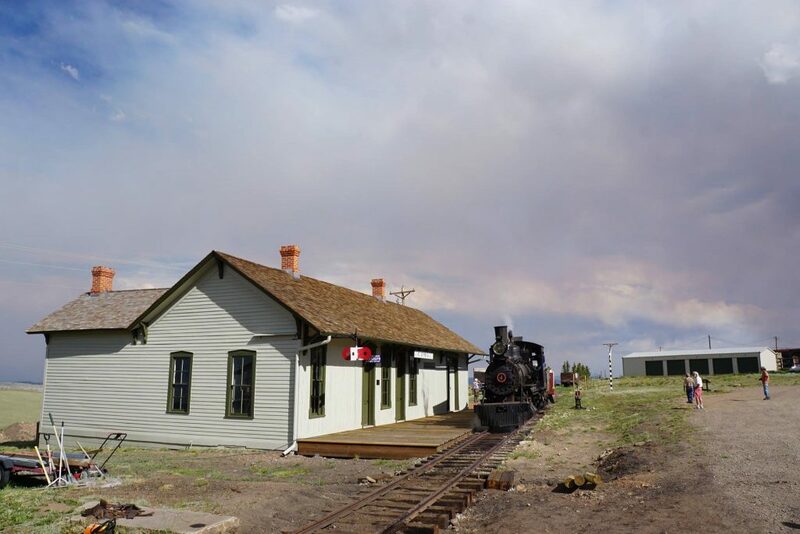 He collaborated with the Denver South Park & Pacific Railway Historical Society restore it during 2008-2015. 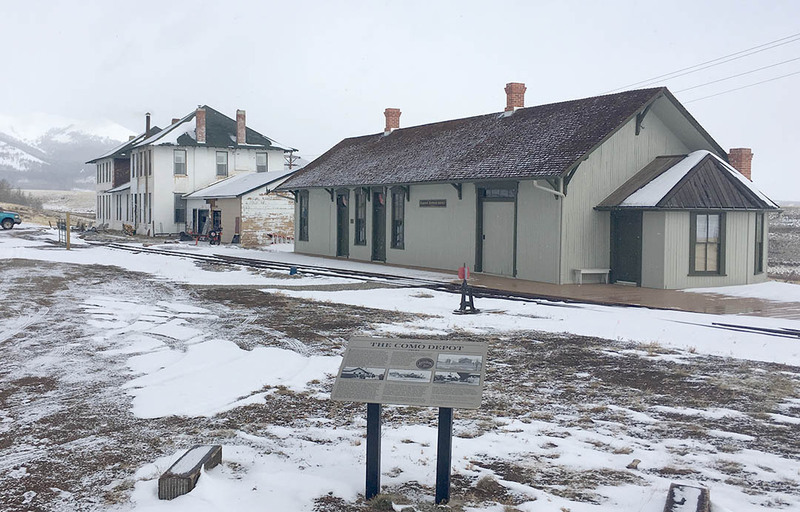 The DSP&P Historical Society now leases the depot and is developing a museum of South Park railway artifacts. Next to the depot is the South Park Hotel, built in 1897 to replace an earlier building that burned. It was known locally as the Como Eating House. In 1978 the restaurant reopened but eventually closed again. Rooms are available, however, and can be booked through AirBnB. The Roundhouse was built by Italian stonemasons in 1881. 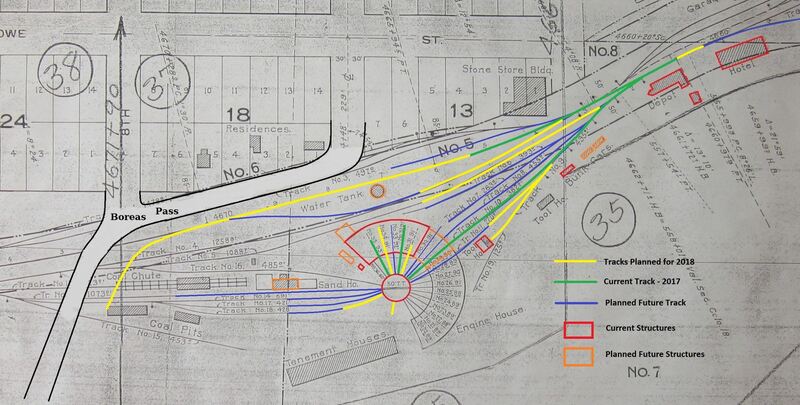 It eventually included the original six stalls plus two wooden additions bringing the total to 19 stalls by 1900. After the railway left town in 1939, the original stone structure was used for various purposes including a sawmill in the 1950s. Bill Kazel bought the roundhouse in 1984. 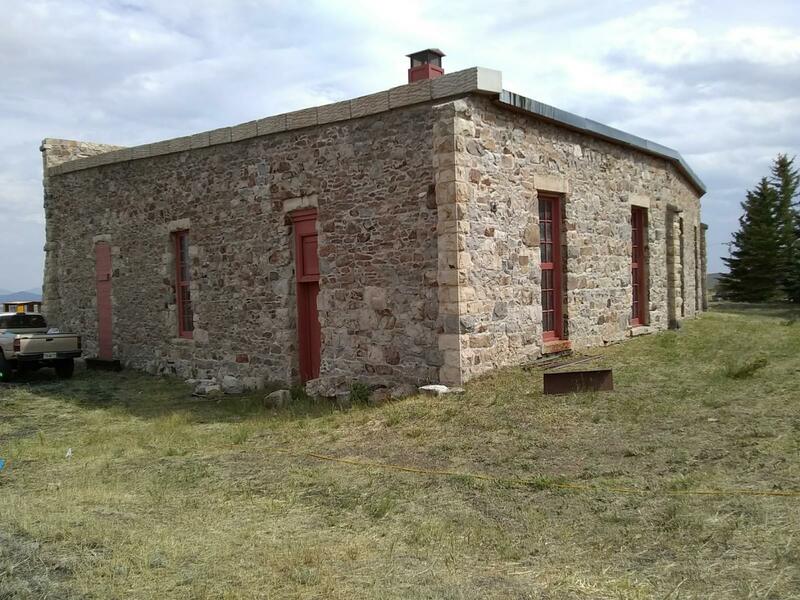 He and his son Greg began restoring the building, which was in poor shape. The roof was caving in. Doors and windows were non-functional or missing. The masonry shell was deteriorating. A fire in 1935 had destroyed the wooden additions to the roundhouse. The building was filled with sawdust from the sawmill that used the building. By 1995 the collapsing roof timbers were braced. The building was repointed. The roof was replaced, windows installed and new or repaired engine bay doors installed. A turntable, believed to be the original, was obtained and installed in the turntable pit in 2017. The turntable deck was added in 2018. In 2001 Dr. Chuck and Kathy Brantigan became the new owners of the roundhouse and the land around it. Since then it has been repainted and additional masonry work has been done. Engine bay number two has had rails laid to accommodate the display of an original DSP&P boxcar. Also on display is one end of the DSP&P passenger car “Geneva”. The roundhouse has been leased to the South Park Rail Society. The current plan involves developing two stalls into a locomotive servicing area. The original wooden floor throughout the building will be replicated. 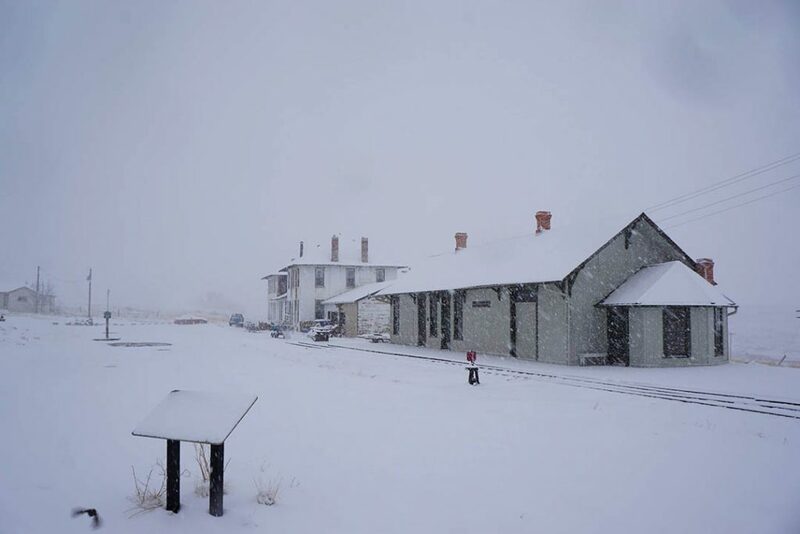 The hotel, depot and roundhouse form the Como Railroad District on The National Historic Register. A visit to the South Park Rail Society’s website recapped the past couple of years of intense activity that I don’t believe has been widely reported. Track was relaid on sections of the original alignments, connecting the roundhouse and depot. There’s at least one stub switch. In late 2016 the South Park Rail Society purchased ex-Klondike Mines Railway 2-6-2 #4 (Baldwin 1912) from the Georgetown Loop Railroad. The Klondike Mines Railway operated 31 miles in the Yukon terminating at Dawson City. The railway was closed in 1913, never to reopen. Klondike #4 sat in the abandoned engine house for 29 years. During World War II, #4 was shipped to the White Pass & Yukon. It operated until 1952, when it was put on display in Skagway. In 1955, a Milwaukee railfan bought the locomotive and had it moved to a proposed tourist railroad named the Oak Creek Central in Oak Creek, Wisconsin. The park never materialized and the locomotive was later moved to Waterford, Wisconsin in 1960 for operation at the Peppermint & North Western tourist railroad. There it ran for only one summer in 1962 and in 1965 it was purchased and shipped to a carnival operation in Seiverville, Tennessee called the Petticoat Junction Railroad. However, the operation lasted only 3 days before closing. 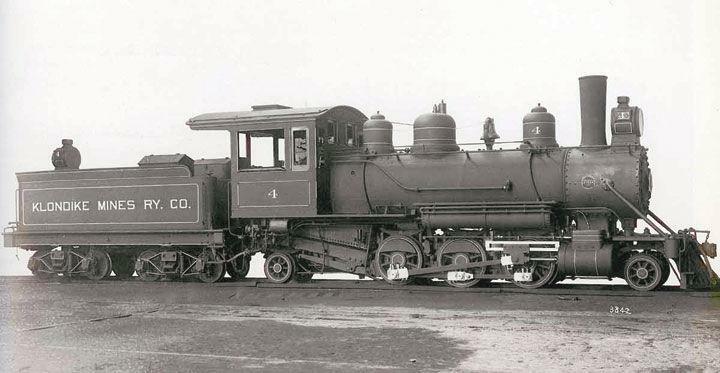 In 1969 Klondike #4 was again sold and moved to Osage Beach, Missouri and operated on the Gold Nugget Junction Railroad. There it ran until 1979 when it was sidelined for repairs and placed on display until the park closed in 1980. Four years later the complete railroad including Klondike #4 was sold to Steve Wild for his proposed game farm in El Reno, Oklahoma. The venture never materialized and Klondike #4 sat in a field for 20 years until it was purchased by the Dry Gulch USA Church Camp in 2005 and was moved to their facility near Adair, Oklahoma. Dry Gulch started a full restoration of Klondike #4 and had the work completed to the point where it was steamed up and test run on their railway. However, the work was never fully completed because the Camp’s managers started to believe the locomotive was too big and heavy for their railway. So, in October of 2015, Klondike #4 was sold once again and moved to the Georgetown Loop Railway. 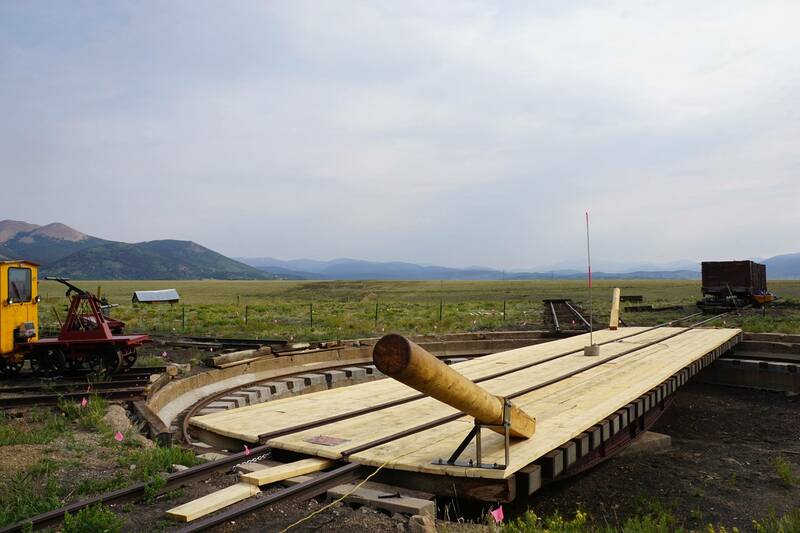 It was purchased for Como and in 2017 was sent to Wasatch Railroad Contractors to complete the restoration. 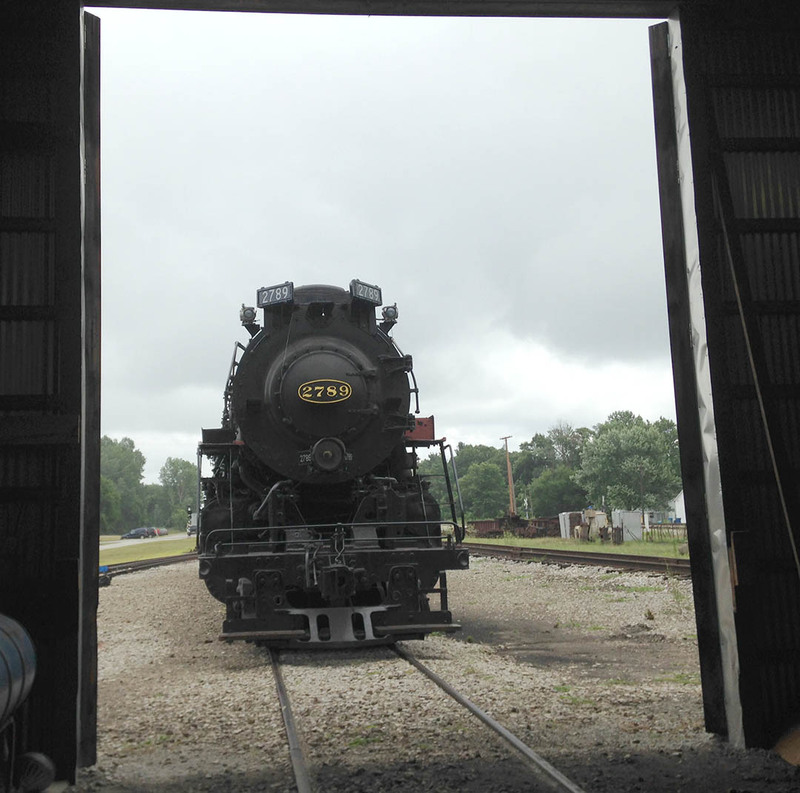 It returned to Como in 2018 and the first steam operation occurred on July 1. Meanwhile a string of rolling stock was acquired. In 2017 the South Park Rail Society received the donation of two ex-D&RGW freight cars from the Ashby Collection. Formerly located at the Georgetown Loop, the Ashby cars had been temporarily stored at the Colorado Railroad Museum and have been gradually sold off. 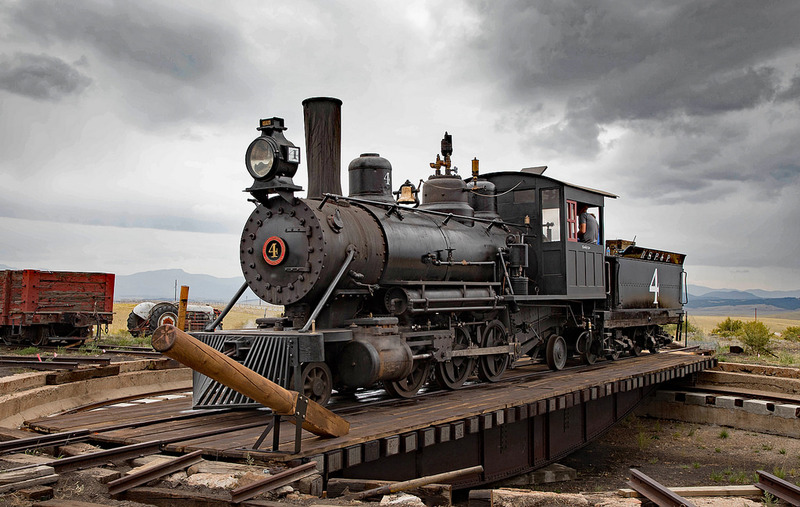 Several have been restored by the Durango Railroad Historical Society. 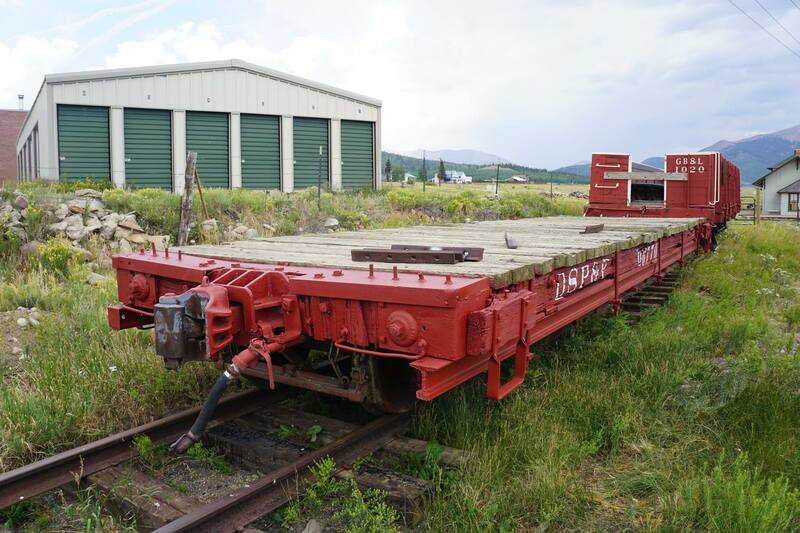 Idler flatcar #6770 was used on the Georgetown Loop RR as a maintenance of way car. High side gondola 1267 was part of a series (1250 to 1499) that were frequent visitors to the Colorado & Southern line through Como as late as 1924. The fleet was augmented in 2018 by the 10-year lease of Colorado & Southern gondola #4319 (C&S Shops 1902) from the City of Central, CO. Number 4319 is the only narrow gauge freight car intentionally preserved by the C&S. In May of 1941, as the abandonment of the last of the Clear Creek line from Golden to Black Hawk and Idaho Springs was being finalized, the C&S presented Clear Creek and Gilpin Counties with display equipment in lieu of back taxes. 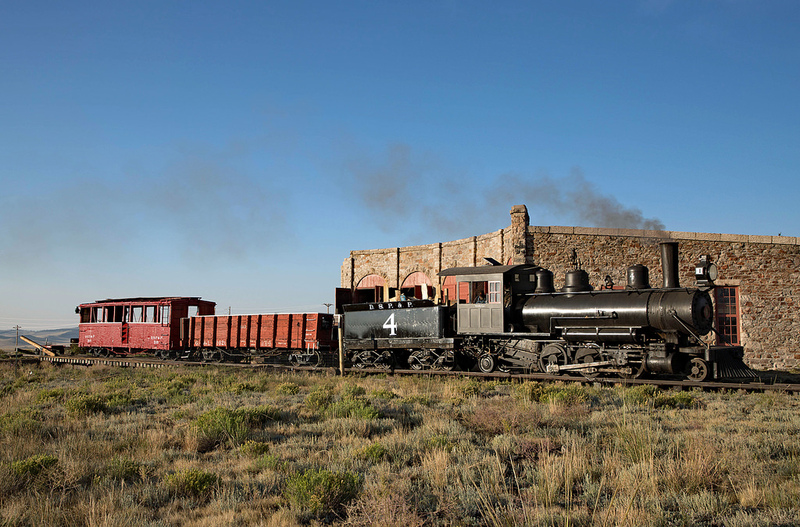 Gilpin County received a train consisting of locomotive No. 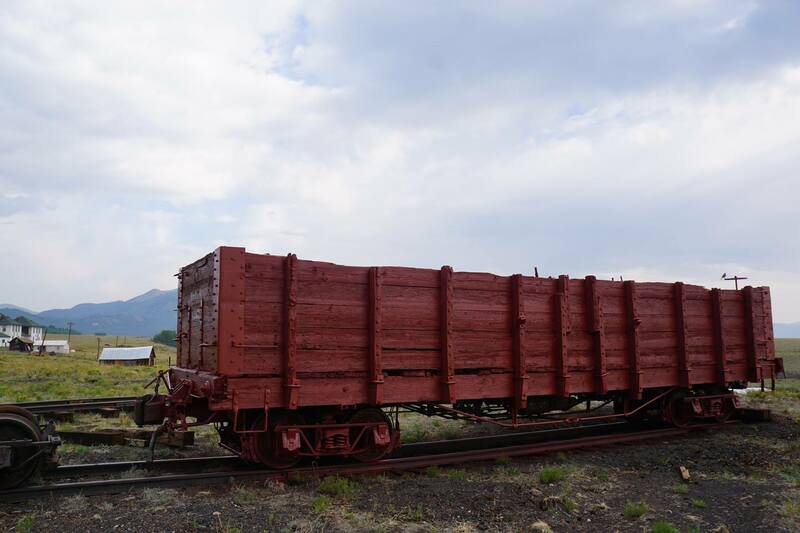 71, coal car No. 4319 and combination passenger/baggage car No. 20. The railroad repaired and repainted the equipment in its Denver shops in preparation for being placed on display. As such, No. 4319 is most likely the last narrow gauge freight car to have been worked on in the C&S’s Denver shops. 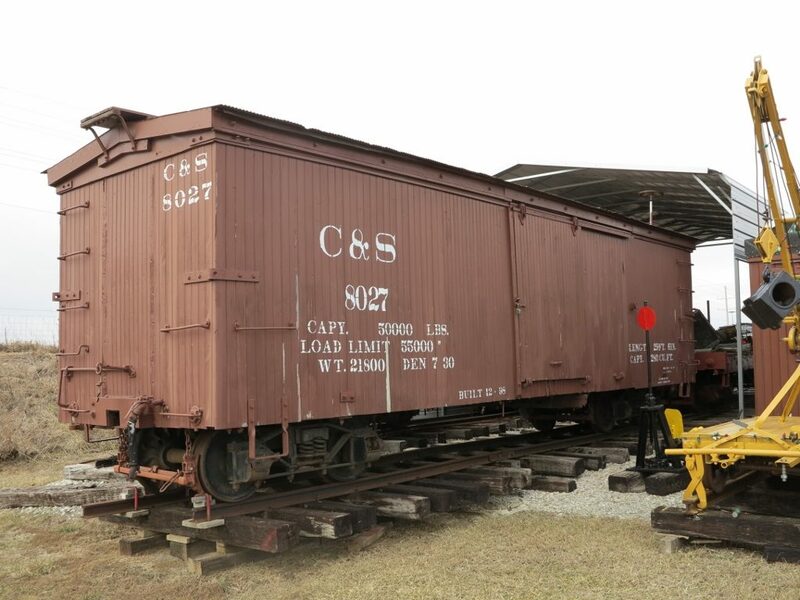 2018 also saw the acquisition of two ex-boxcar passenger cars from the Cumbres & Toltec Scenic Railroad and one significant piece, Colorado & Southern boxcar #8027 (St. Charles Car. Company 1898). The carbody was sold to a farmer east of Boulder where it was used as a calving shed and general storage until early 2005. Acquired by a private owner in 2005, it was slowly restored over the next several years.